Last Saturday morning our team of water-well drillers left the beautiful seaside community of Playa Salinitas in El Salvador to start our journey home. I have made this trip twice before but this time we took a different route to Cuscatlán International Airport, located just south of San Salvador. We decided to travel down a portion of La Panamericana — the Pan-American Highway. The Pan-American Highway is the world’s longest road, stretching from Prudhoe Bay, Alaska all the way to Tierra del Fuego in South America. 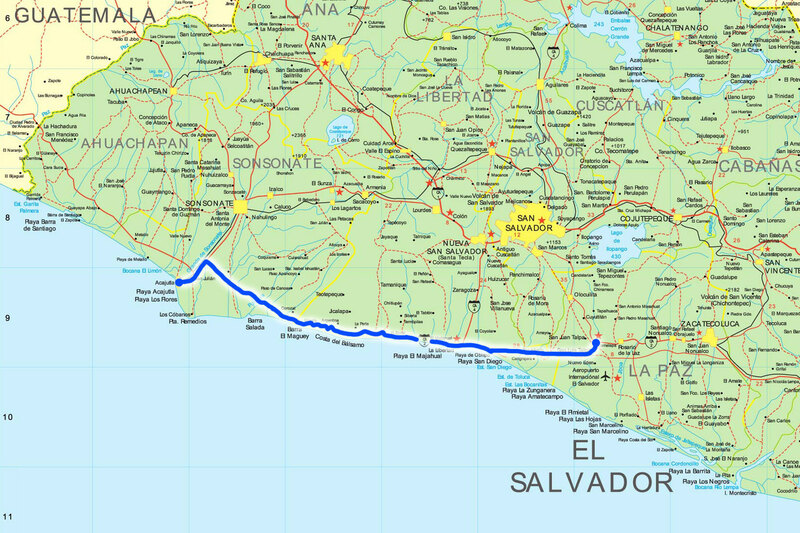 El Salvador is the smallest of the 23 countries through which the highway passes. The section of highway between Playa Salinitas, located in the district of Sonsonate, and the airport offers magnificent and beautiful vistas of the Pacific Ocean. This stretch of road also passes through five tunnels. 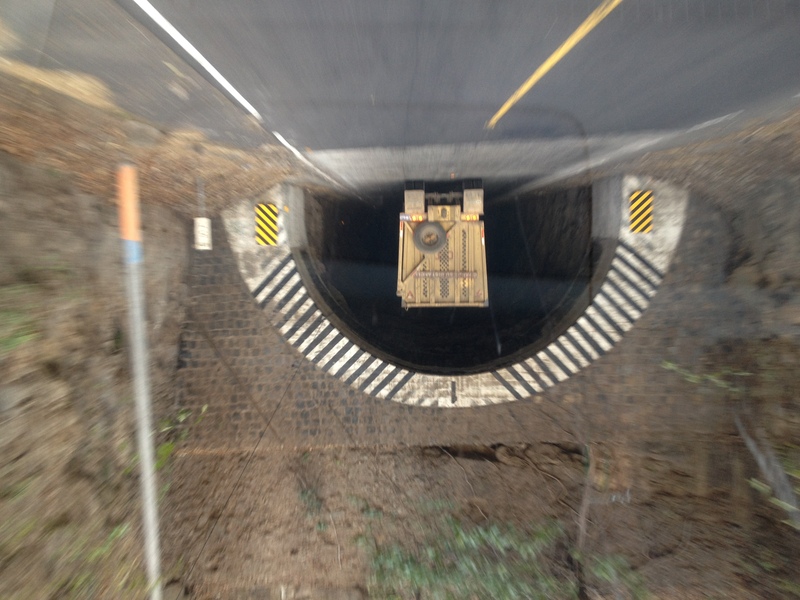 Driving through the tunnels along this mountainous stretch of highway in El Salvador got me to thinking about tunnels. Pardon the pun but, although the term “tunnel vision” can have some negative connotations, those tunnels are there because someone had tunnel vision! Someone had the vision to see a way through where there seemed to be no way through. It’s easy for those of us who travel highways like this to take tunnels for granted. However, when you think about it, someone had to dig through the rock to get to the other side. There were guys back in the 1930‘s who got up every morning and kissed their families good-bye and then set out to dig and drill and remove rubble in order to make a way for the Pan-American Highway to go through this stretch of El Salvador. We enjoyed our drive because lots of folks before us had tunnel vision — the capacity to concentrate on a single purpose … getting through the mountain. Here are a few quick observations about tunnels that I jotted down last week as we drove down the Pan-American Highway in El Salvador. First, tunnels teach us that we can overcome obstacles (Phil. 4:13). Second, tunnels remind us that when turning back or going around is not an option then we need to find a way through (Phil. 3:14). Third, tunnels are the result of collaborative effort and a reminder that we need each other (Gal. 6:2). Fourth, tunneling through one obstacle can give you the resolve to tunnel through the next (1 Cor. 15:58). Finally, those who come after us can benefit from our labor if we do not lose heart in doing good (Gal. 6:9). So, don’t despair the next time you come up against a mountain or a brick wall. Ask God to give you tunnel vision and to help you find a way through to the other side. Thanks, Celia. We love you and Steve. An excellent observation; thank you for your insight. Omar sometimes I think God has put us on the same thought process! This morning I listened to Beth Moore and she was teaching “A Heart Like His” on TV. I was reminded that if you have faith like a mustard seed you can move a mountain and I remembered to thank god for all the mountains he has moved in my life and the understanding He walked with me as those mountains were moved and the anticipation I look forward too to see where the next mountains are and knowing I will not be alone! Great to know that we do not have to face life’s challenges alone. Omar … at the age of 65, Tunnel Vision can be a great asset! With so much to distract this poor old mind at any given time … tunnel vision would help my ability to focus. 🙂 … and could just head for the end result, instead of taking so many detours! God Bless you … and keep you safe on all your trips. I would love to travel that road again. Glad we had the opportunity to share the experience.